Success in the site-development game is about being more efficient and cost-effective. To maintain its competitive edge, SEH, based in Finksburg, Md., employs technology that makes the company more adept at meeting ever-more-demanding schedules on tighter and tighter jobsites. 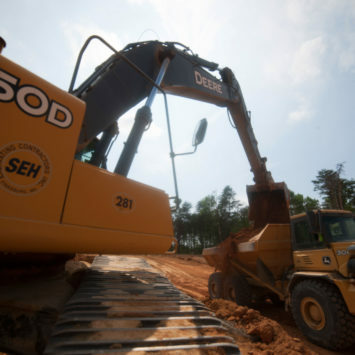 When we visited SEH at a residential site, the company was demoing a new John Deere 700K SmartGrade™ Dozer. A few weeks later, they ordered one. Gouge proudly claims to have converted SEH to Deere almost 20 years ago. “My brother, who is also a superintendent, and I demoed 650J and 850J Crawlers against comparable competitor machines. The Deere machines held a steep slope, while the competitor machine slid all the way down. We bought both dozers, and we still run them today. 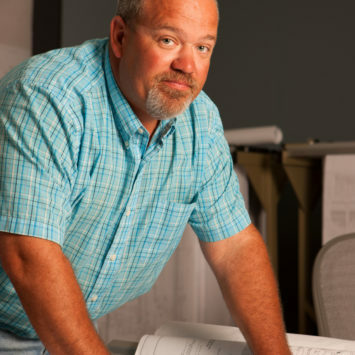 Scot Hare, President of SEH Excavating Contractors, Inc., built the company on a foundation of exceptional customer service and a commitment to getting the job done right the first time. SEH has been in business for 27 years. Hare started on his own, digging foundations for a custom-home builder. 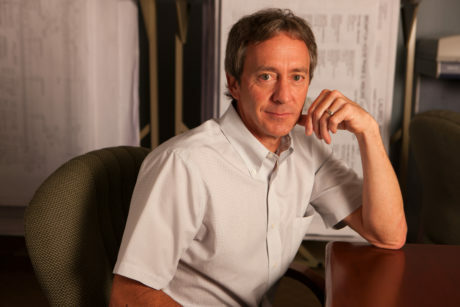 “My first jobs were excavating and backfilling using a track loader,” says Hare. 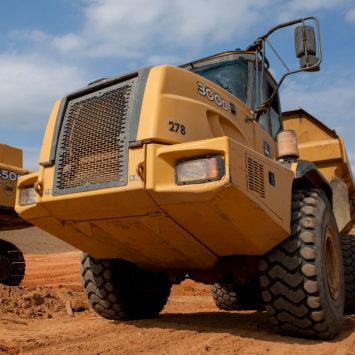 “Eventually I wanted to get into more site-development work, so we acquired some dozers and rollers, and grew from there.” Word began to spread about SEH and the company began to grow. “We take a lot of pride in getting the job done right and on time,” says Hare. Today, the company employs 115 people and provides full-service site development at commercial and residential locations around Baltimore and in Maryland. It runs 17 crews handling approximately 30 jobs at any given time. 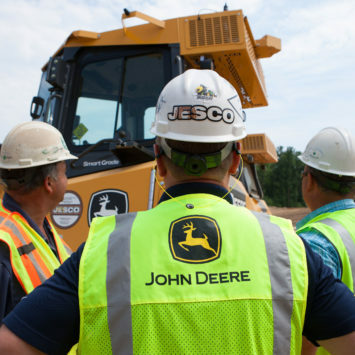 The company purchased its first piece of John Deere equipment in 1998 and today owns almost 50 John Deere machines, including crawlers, excavators, wheel loaders, and articulated dump trucks. 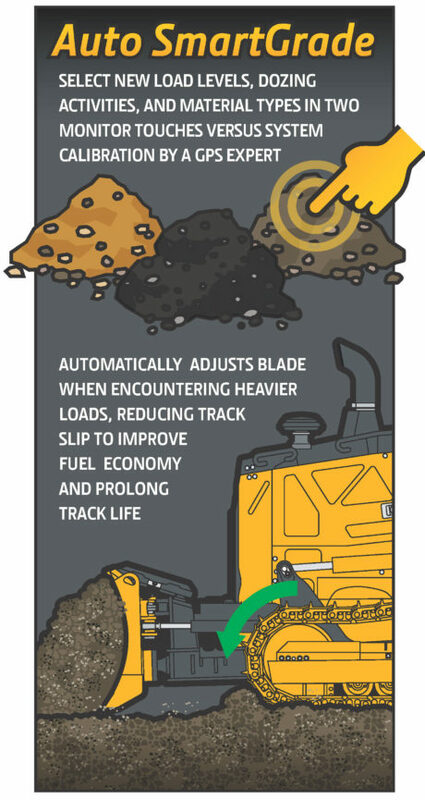 SEH leverages JDLink and SmartGrade technology to help maximize the efficiency and longevity of its equipment fleet. 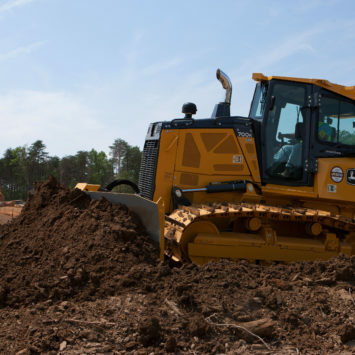 The 700K SmartGrade™ Dozer features a grade-control system that's fully integrated into the machine cabin, structures, and software — delivering precise grading performance while eliminating vulnerable external masts and cables. 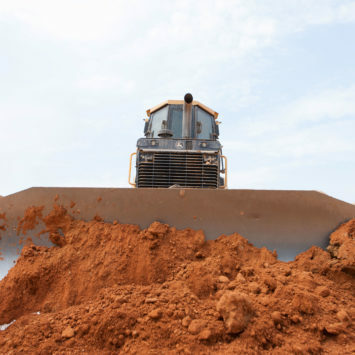 Jamey Hooper, Service Manager, SEH Excavating Contractors, Inc.
JDLink™ telematics help SEH centrally manage the entire fleet that includes articulated dump trucks like this one. Today, SEH owns almost 50 Deere machines, including crawlers, excavators, wheel loaders, and articulated dump trucks. JDLink allows SEH to remotely monitor fuel usage, idleness, and service intervals of its fleet. 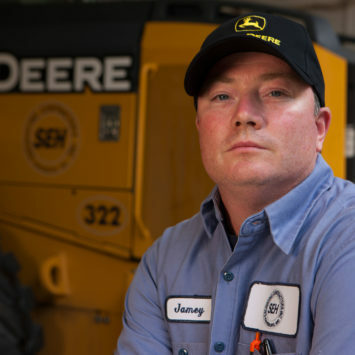 John Deere dealer JESCO helps ensure SEH machines are always up and running. 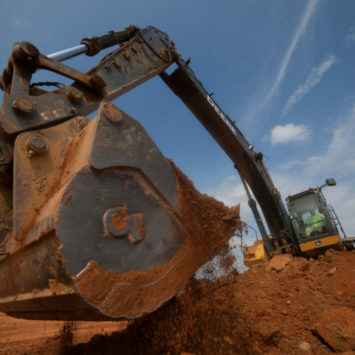 A John Deere 450D Excavator digs in at a SEH jobsite. SEH Excavating Contractors, Inc. is serviced by JESCO, Inc., Baltimore, Md. To manage its large fleet, SHE’s Service Manager, Jamey Hooper, oversees 13 people, including shop technicians, road mechanics, laborers, a welder, and a fabricator.